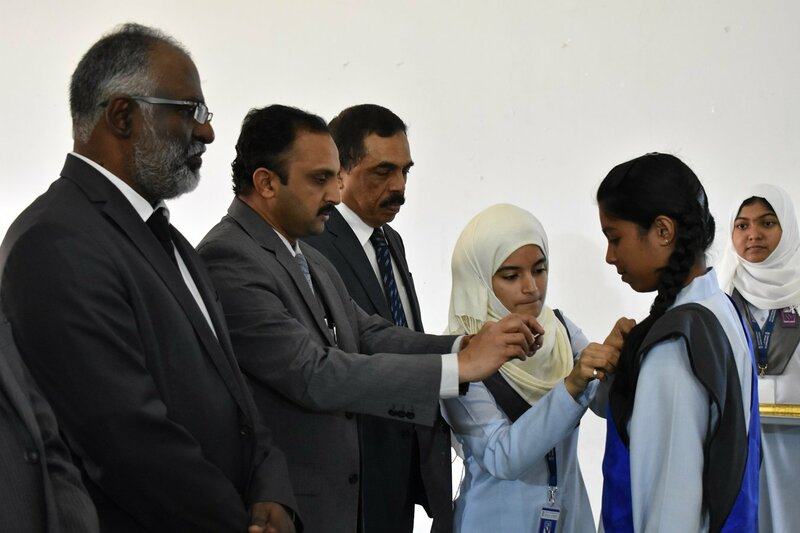 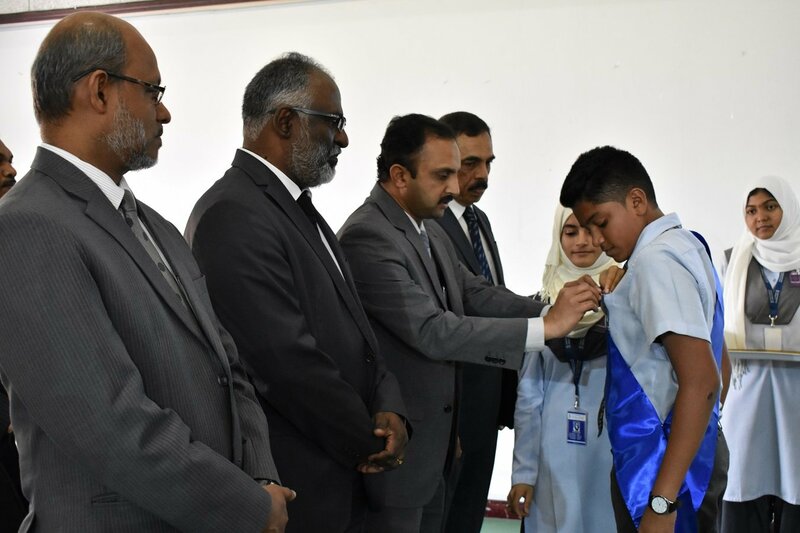 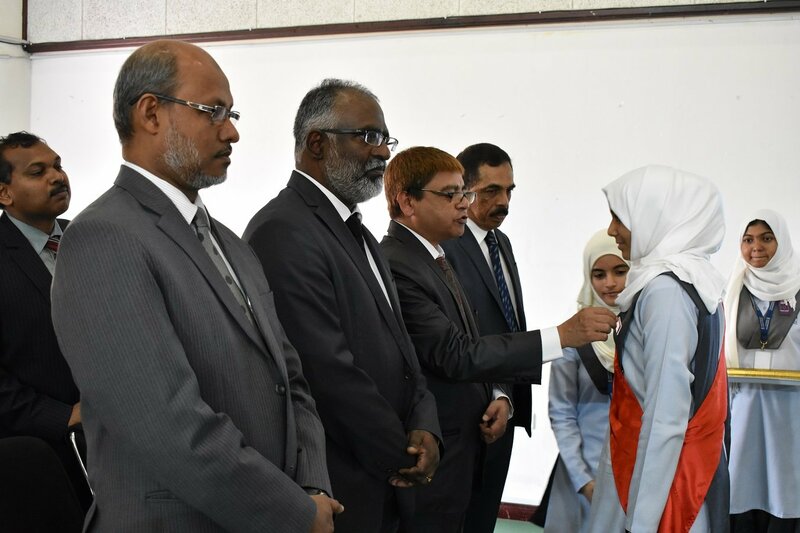 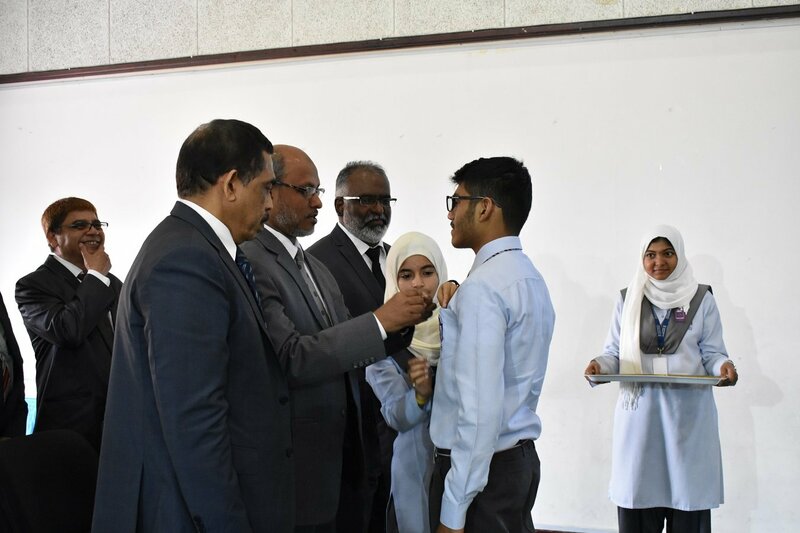 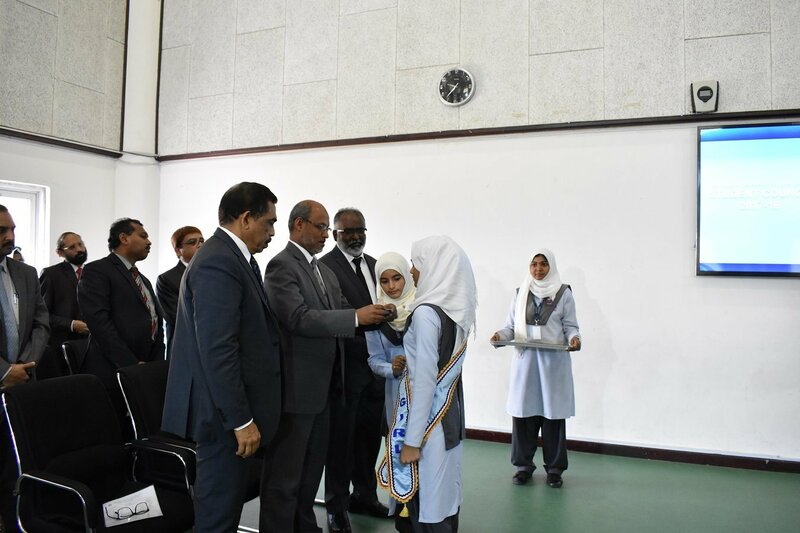 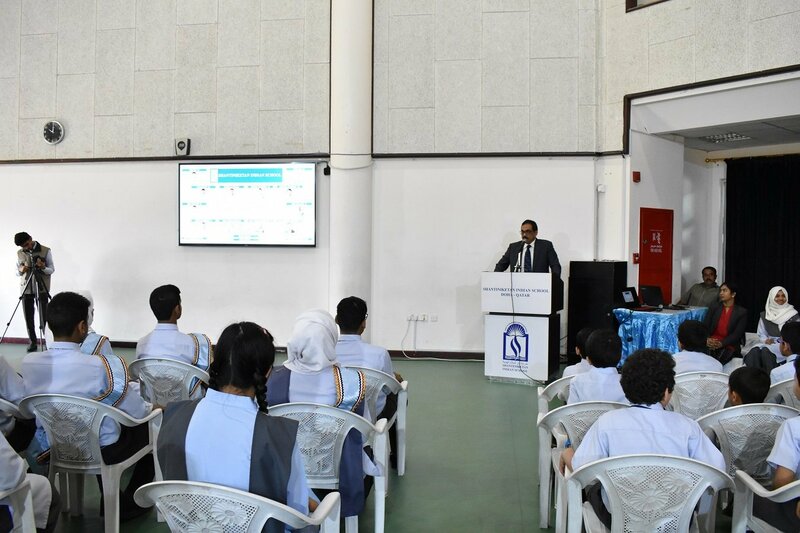 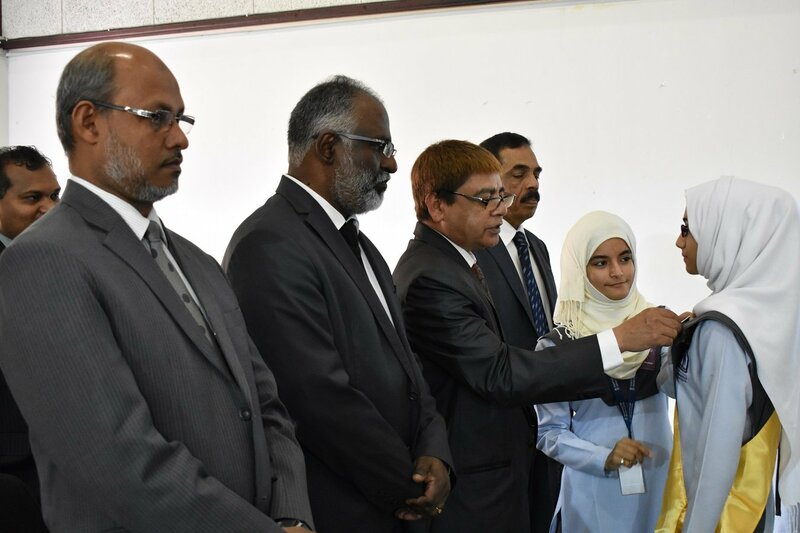 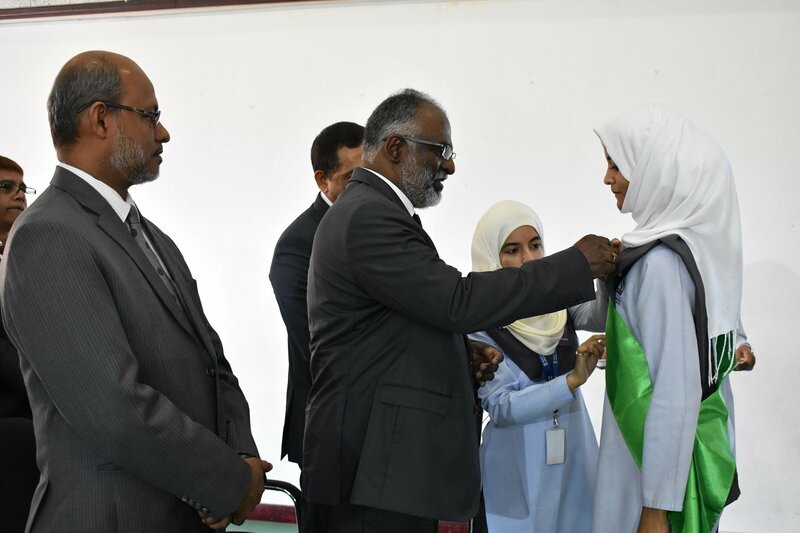 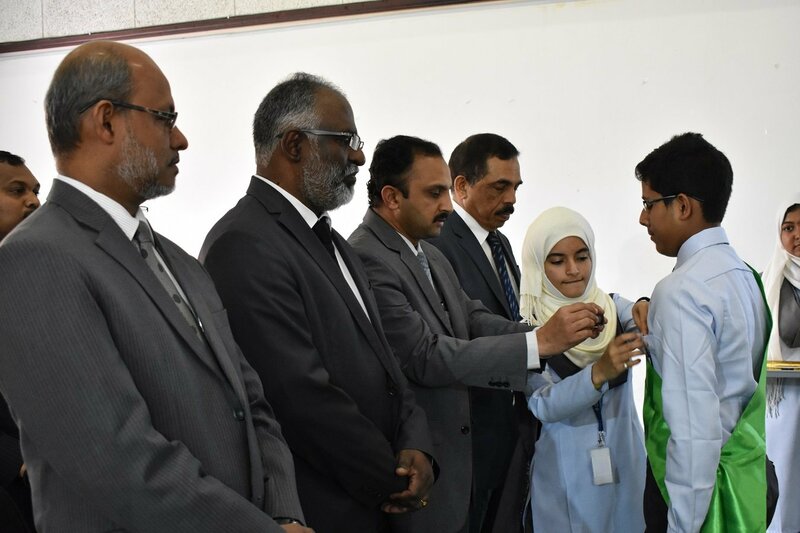 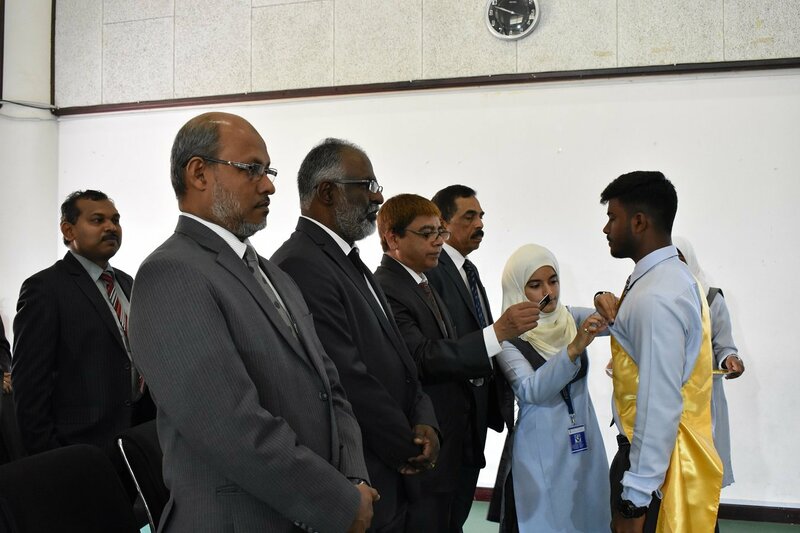 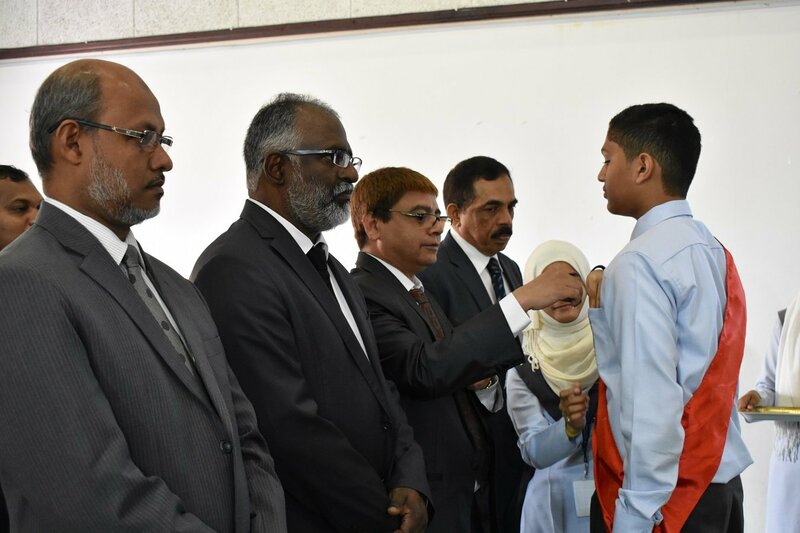 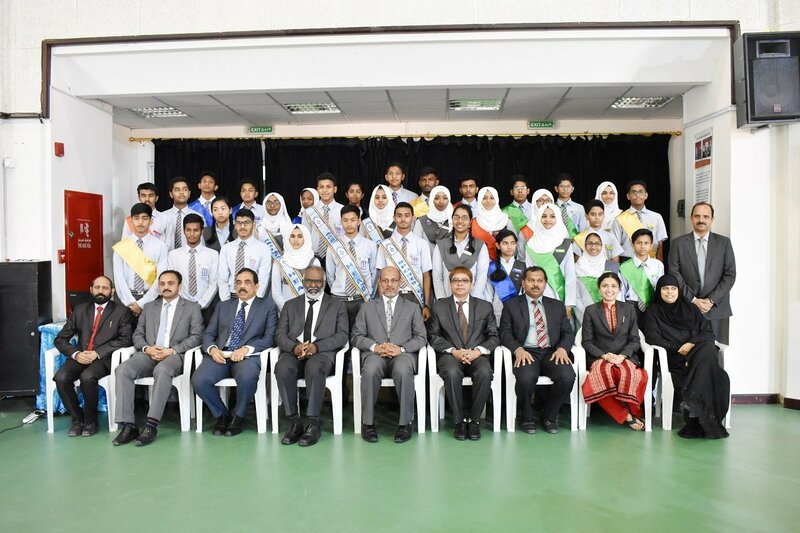 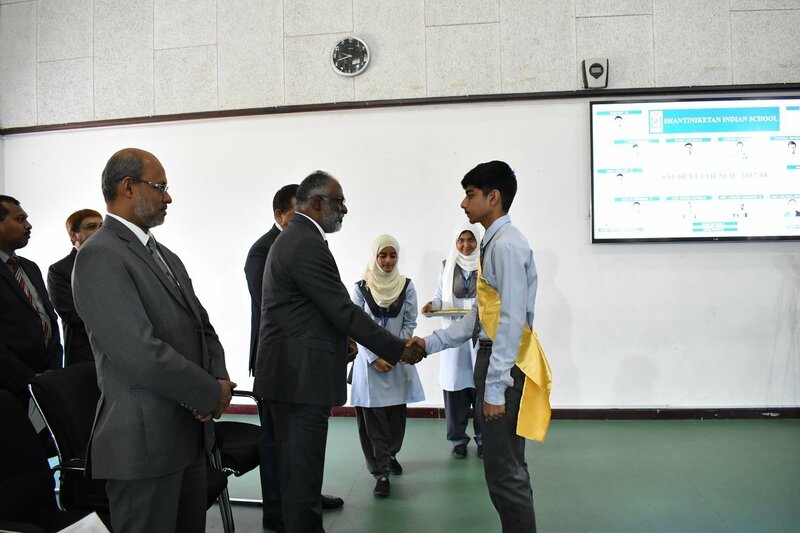 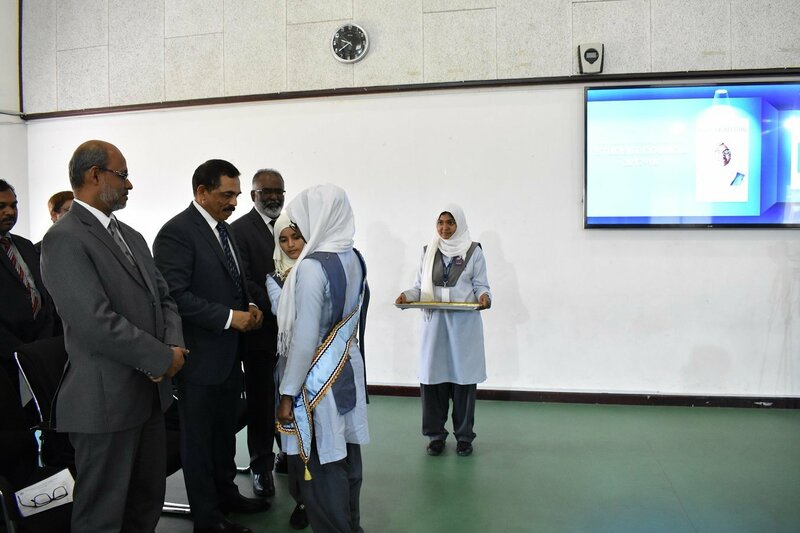 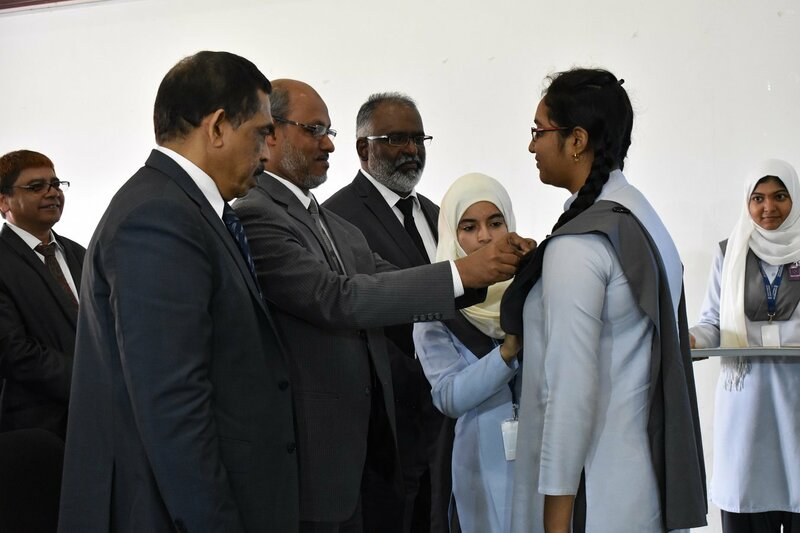 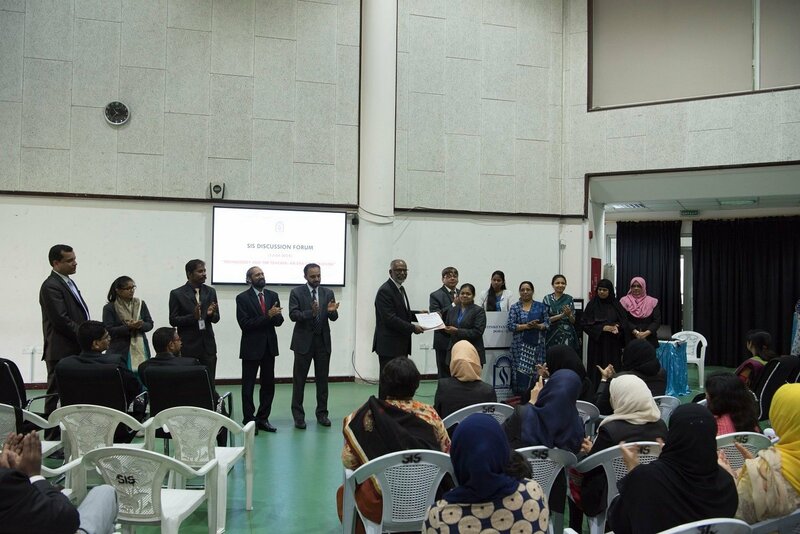 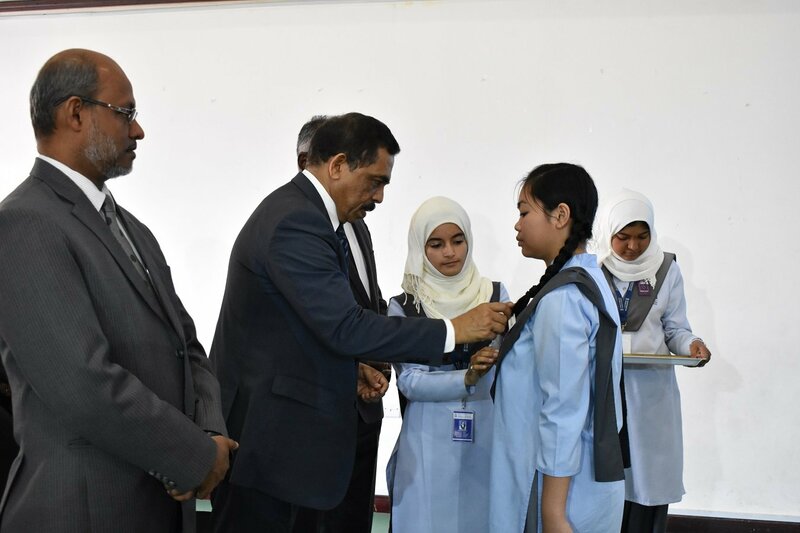 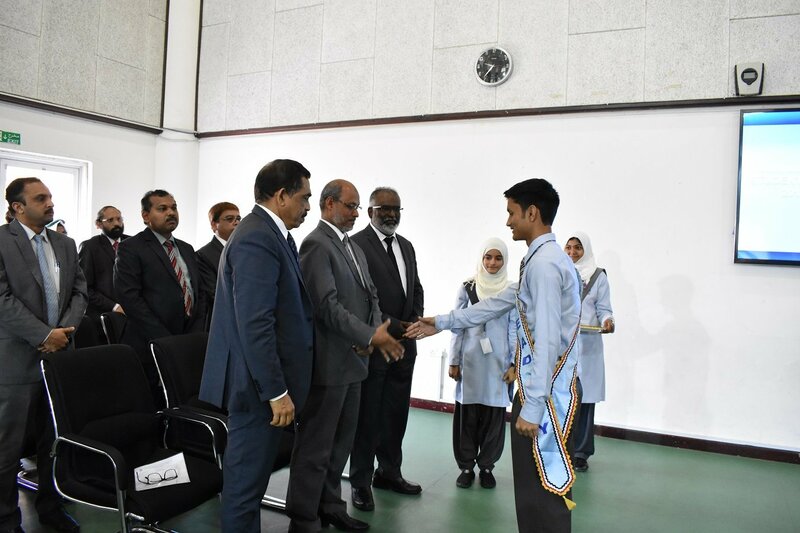 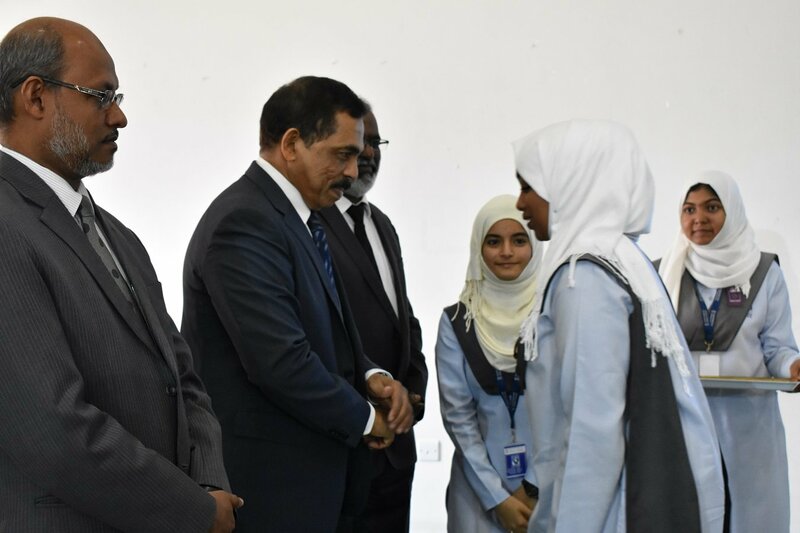 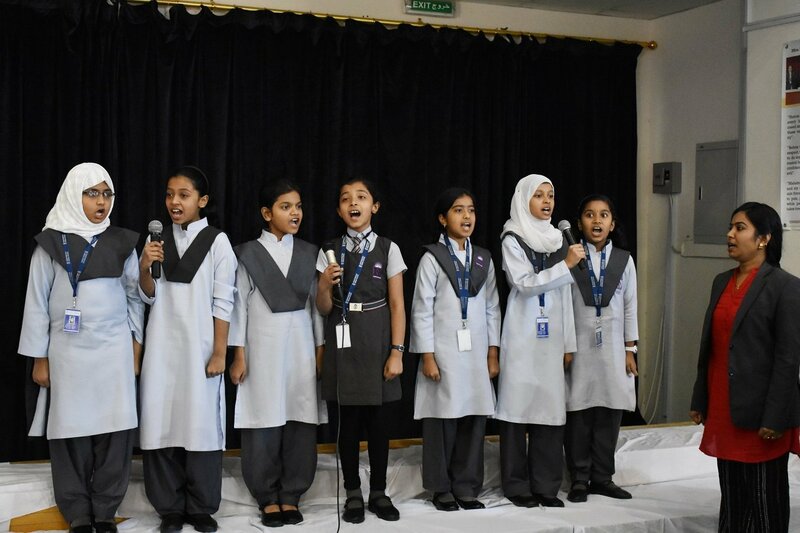 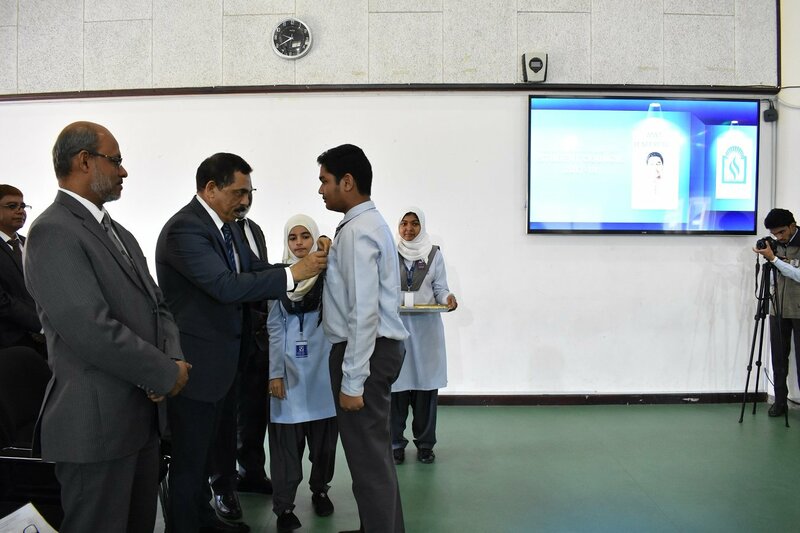 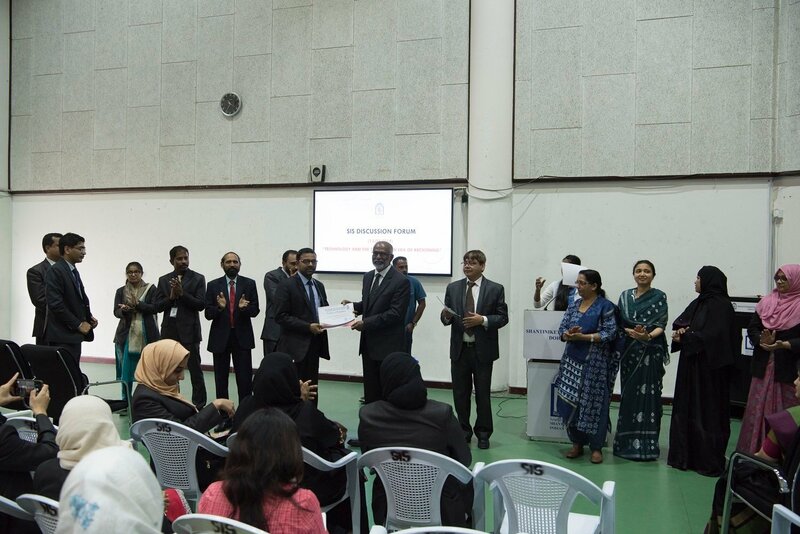 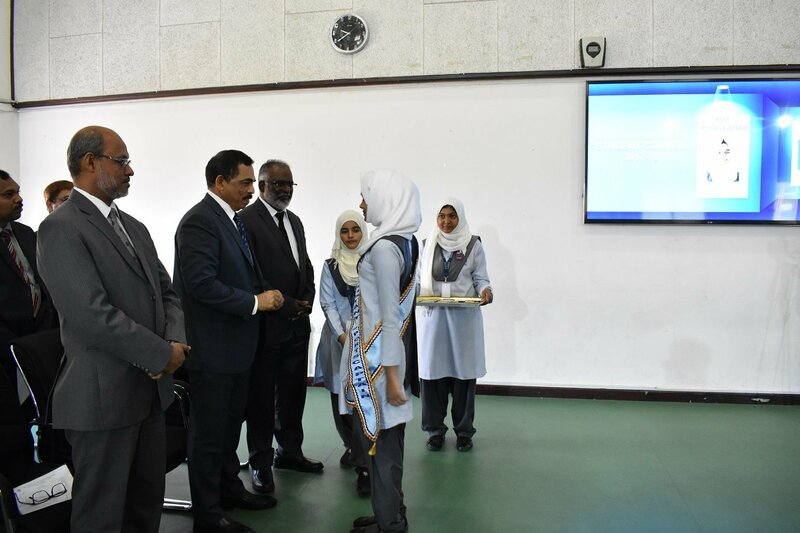 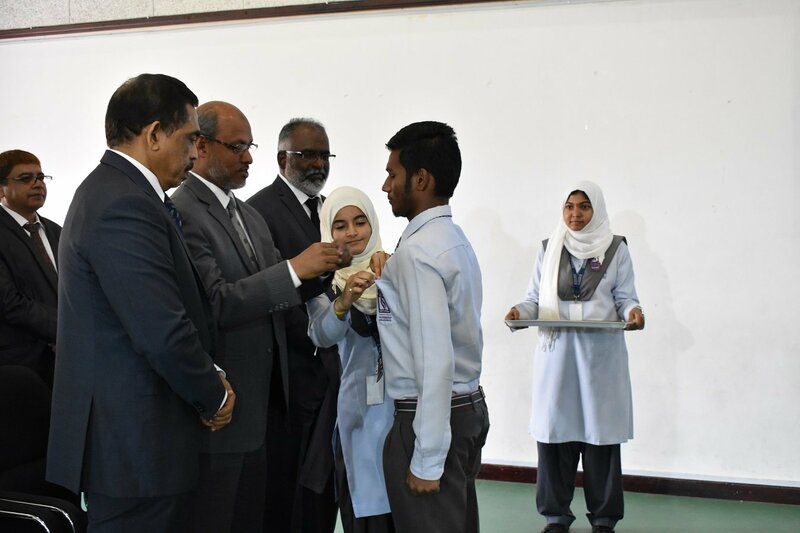 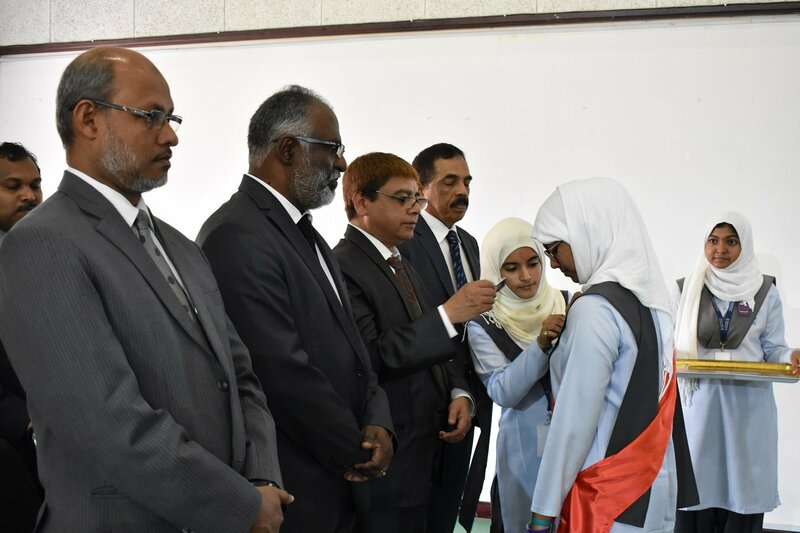 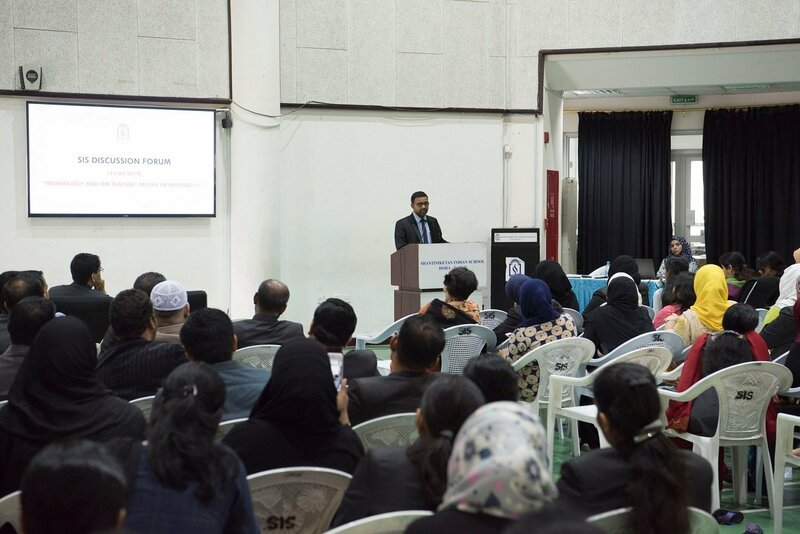 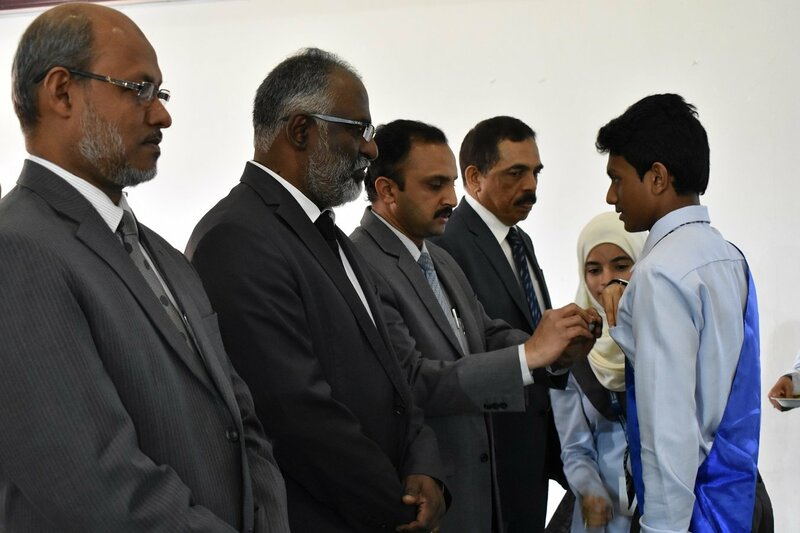 SIS Student council members were conferred with leadership roles for the academic year 2017-18 in a grand investiture ceremony presided over by the President of SIS, Mr. KC Abdul Latheef. 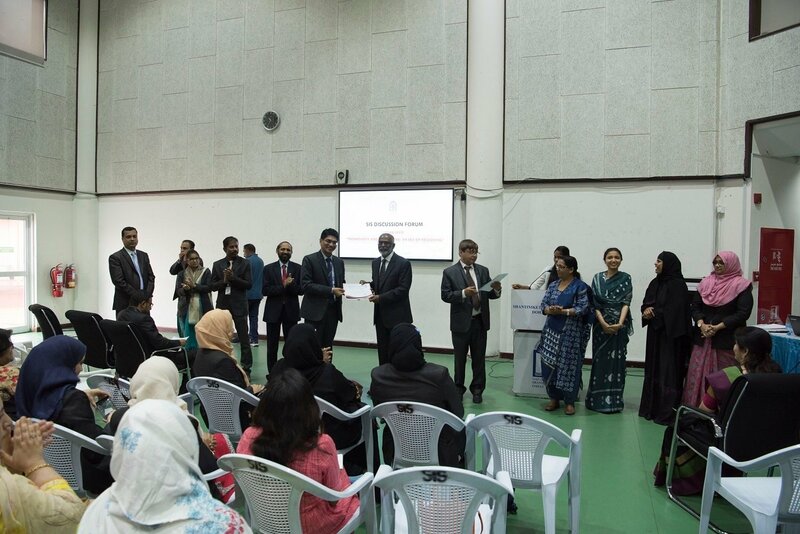 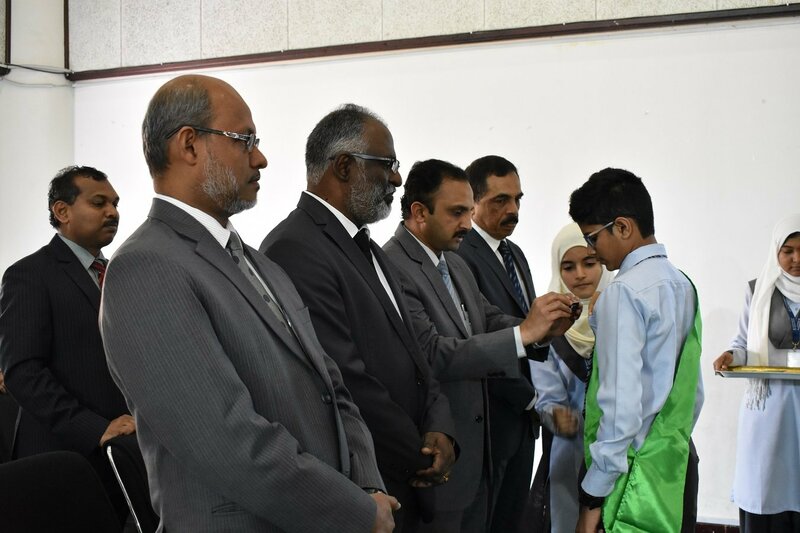 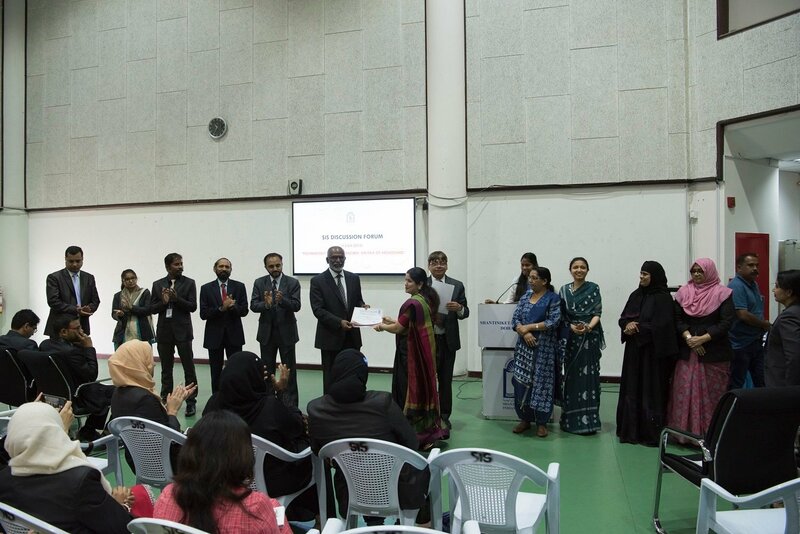 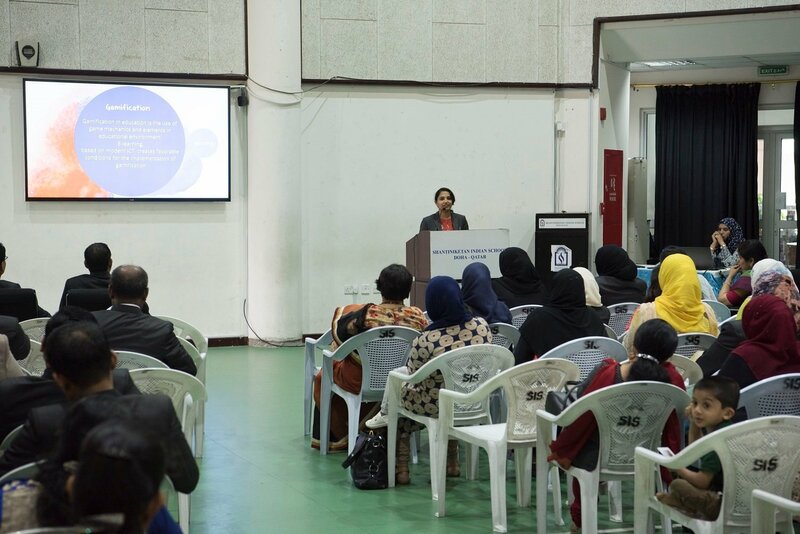 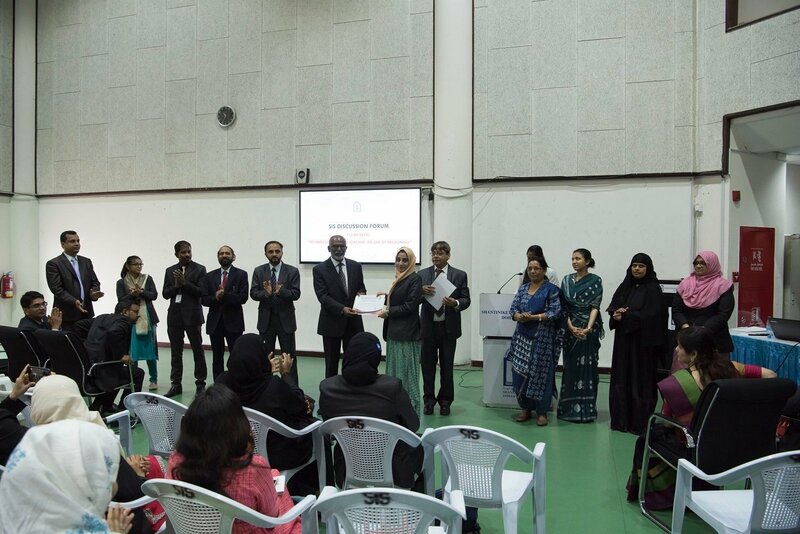 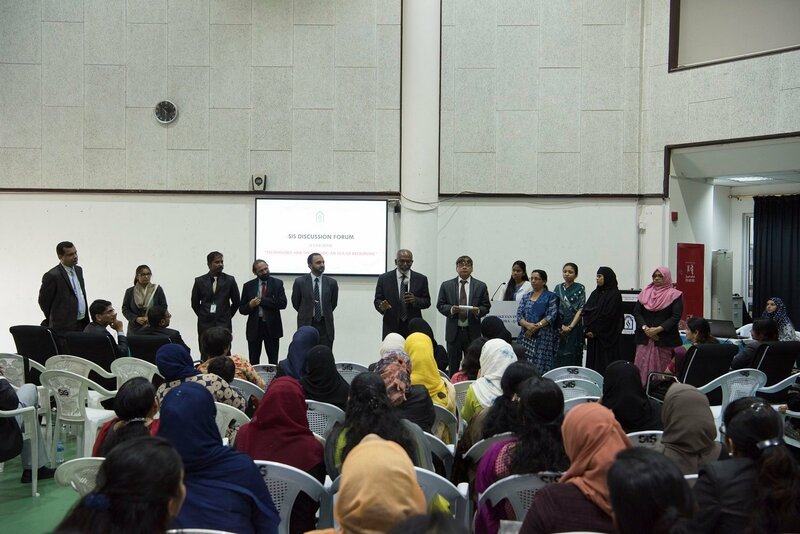 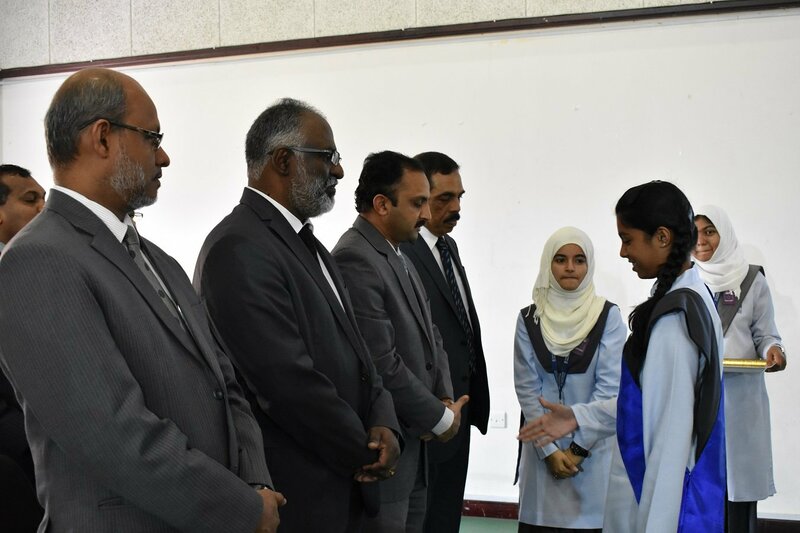 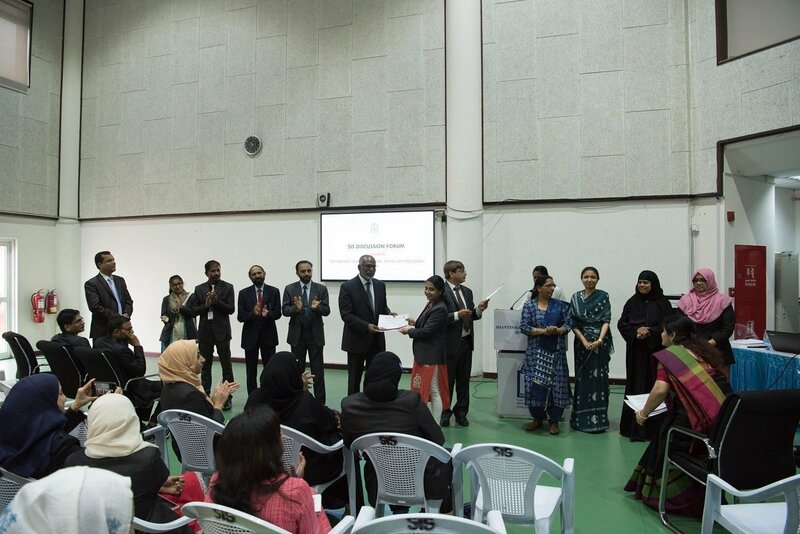 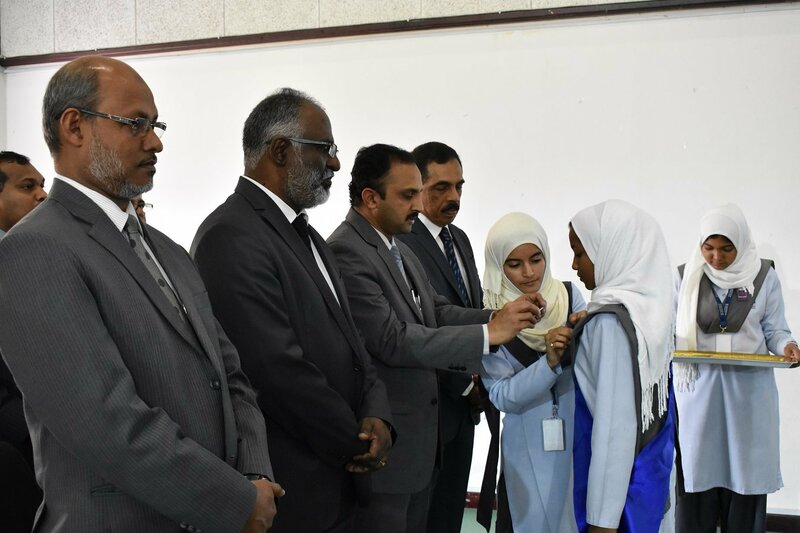 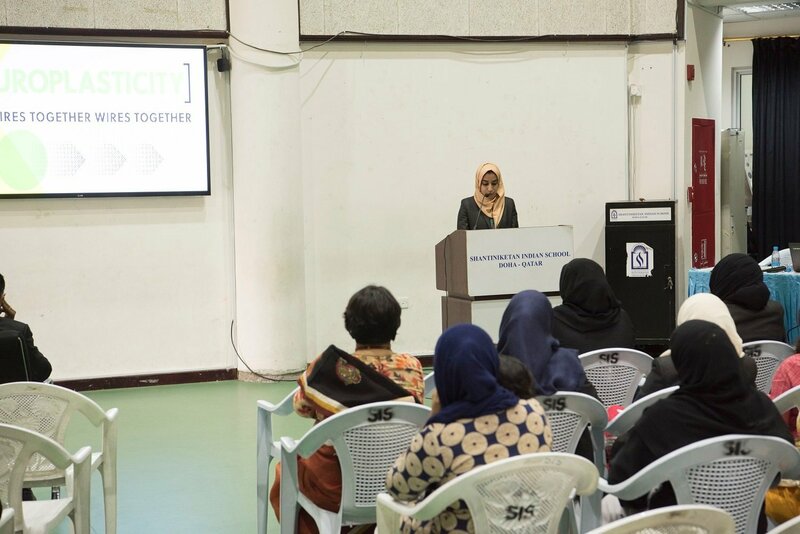 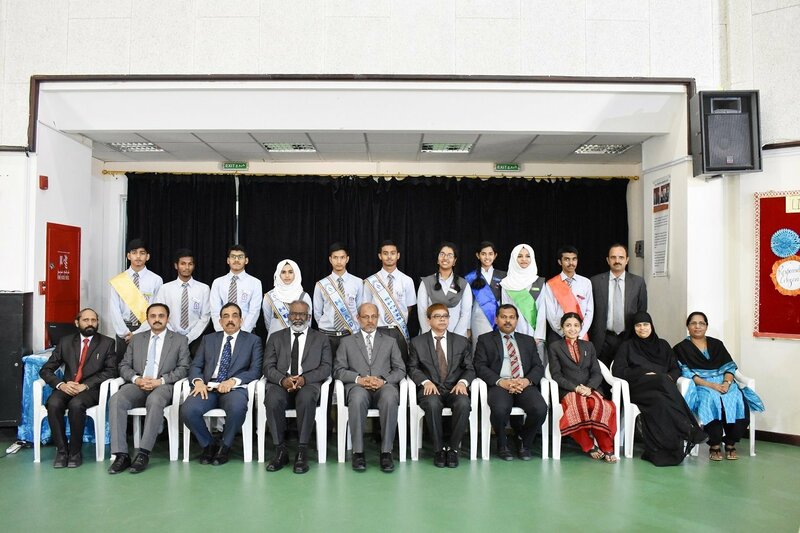 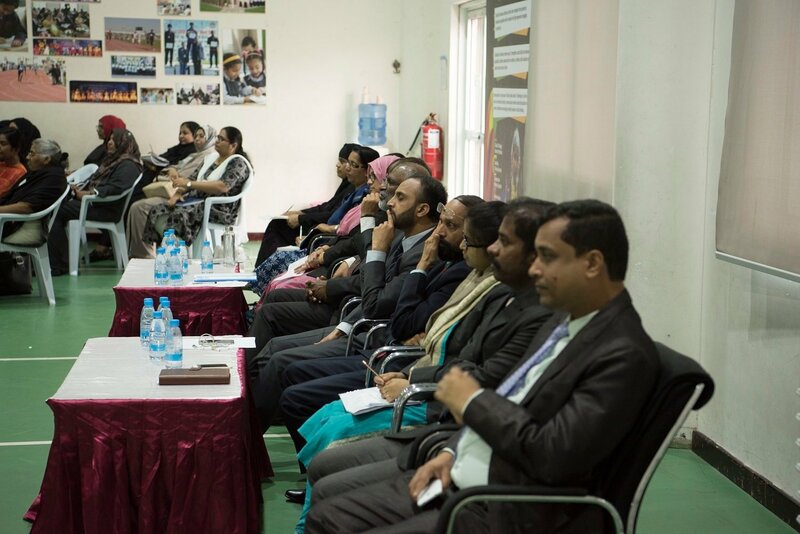 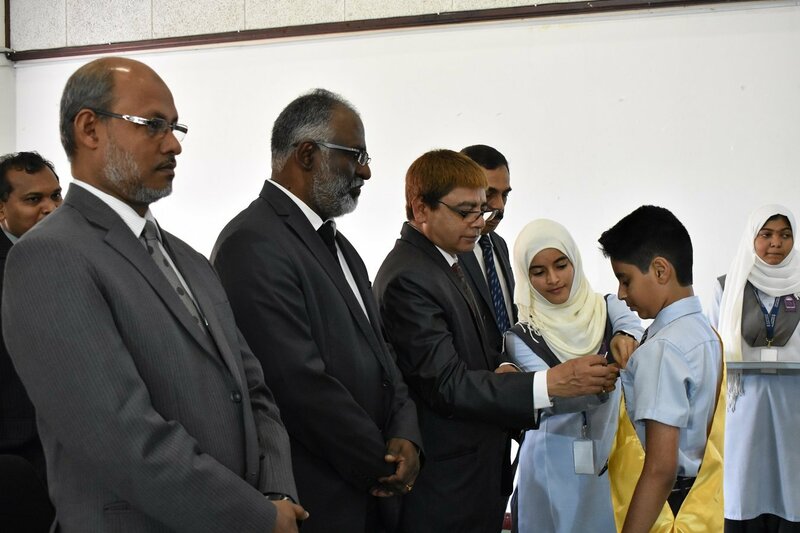 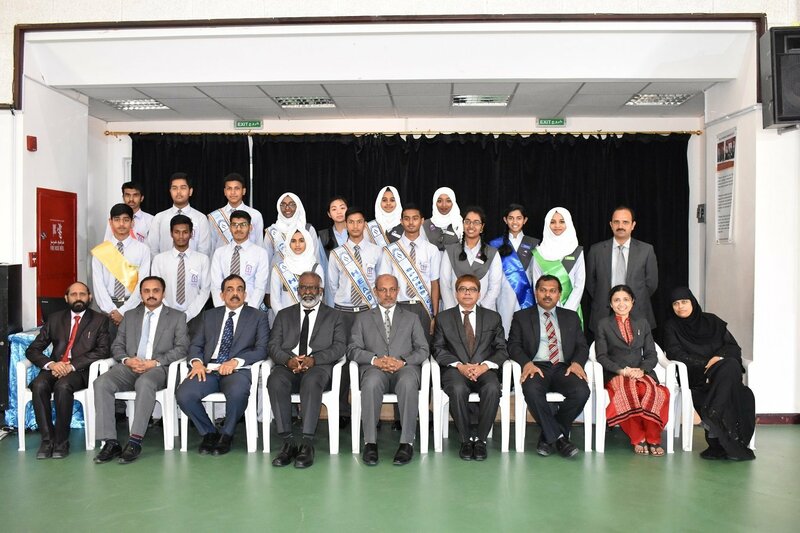 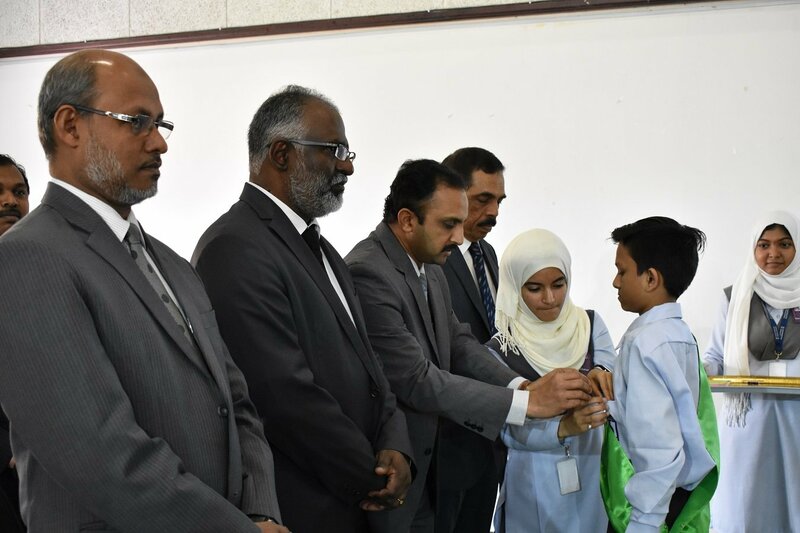 Present on the occasion were General Secretary Mr. Abdul Khader, Principal Dr. Subhash B. Nair, Sr. Vice- Principal Mr. Shihabudeen Pulath, Vice-Principal Mr. Dudley O’Connor, Administrator Mr. Abdul Salam, Head Teachers Mrs. Mehjabeen Hasan, Mrs. Heena Imran, Mr. Mathew KC, Parents and Teachers. 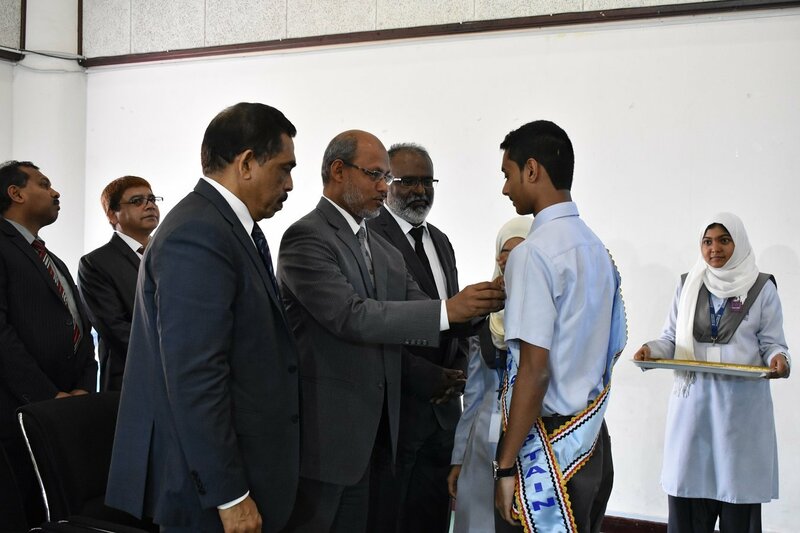 The ceremony was held with lots of zest and fervour. 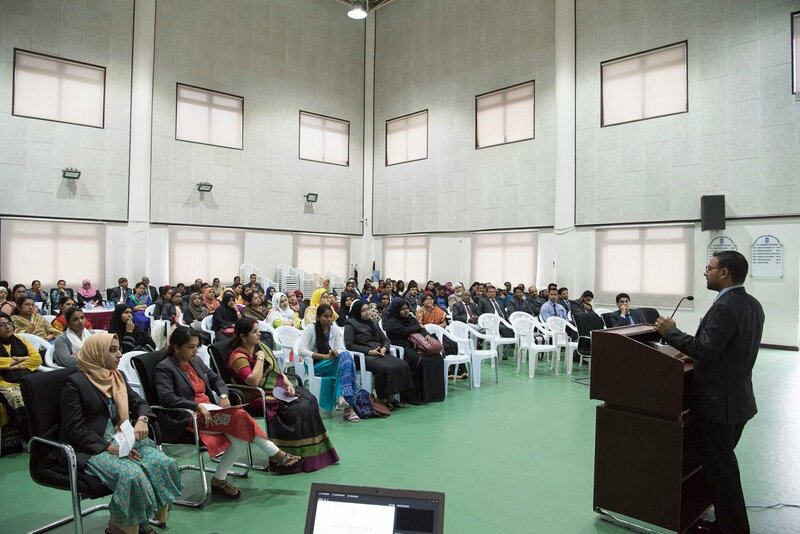 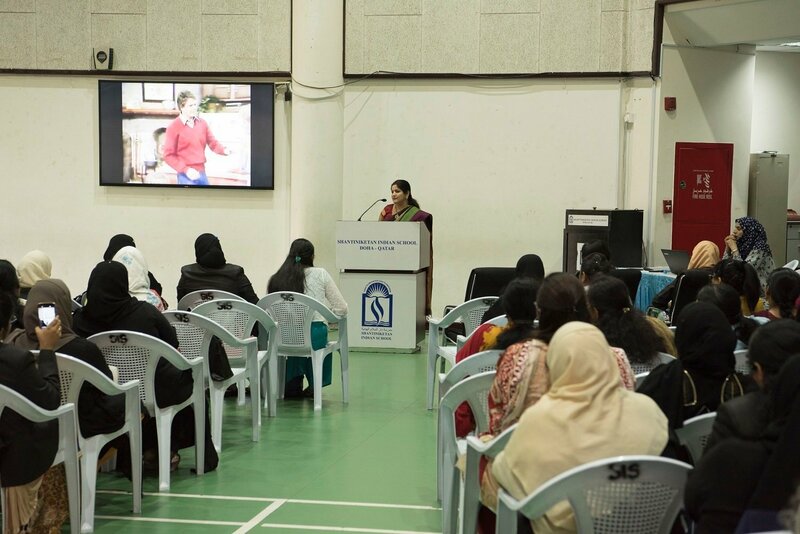 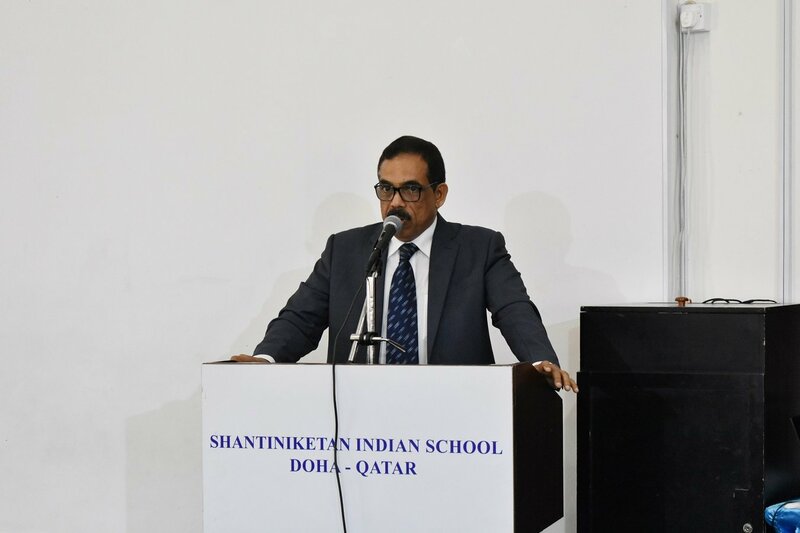 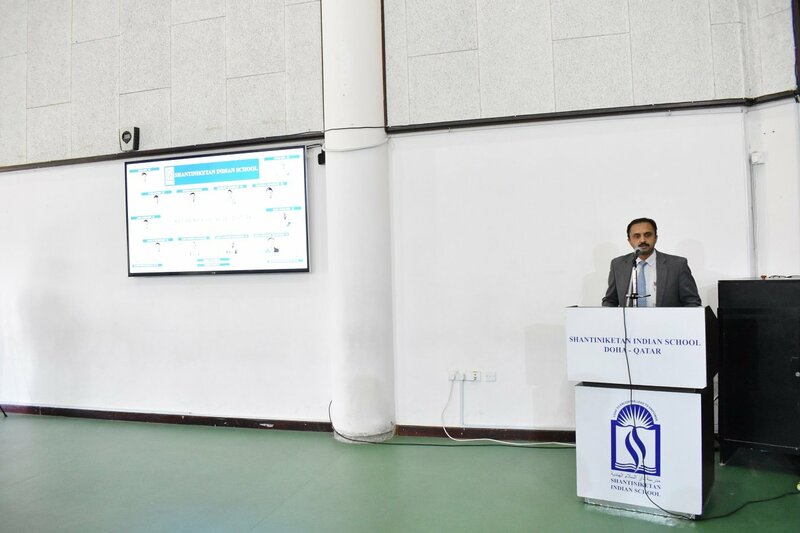 Dr. Subhash Nair, inspired the leaders to be Genuine, Generous and Generative and reiterated the core values of SIS as the guiding factor for development of the leadership skills. 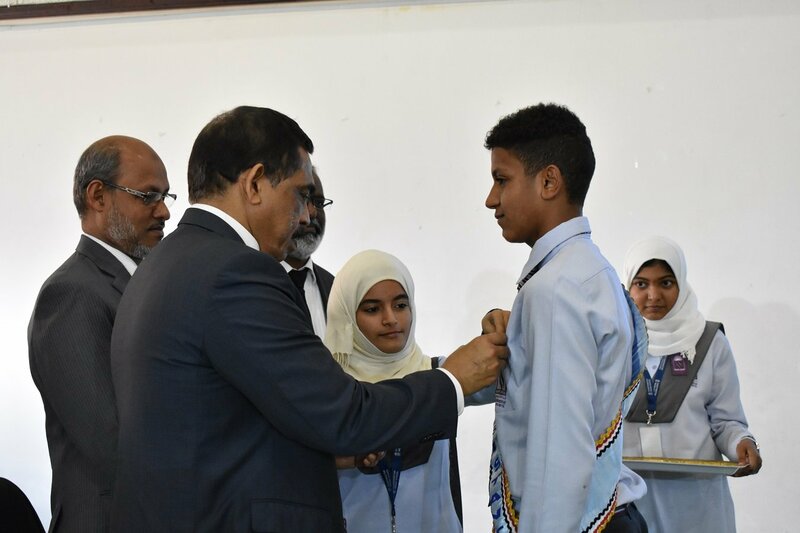 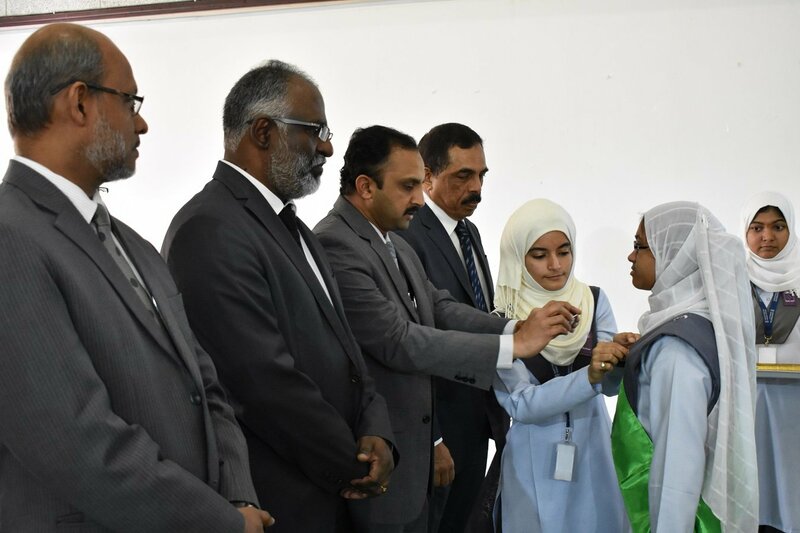 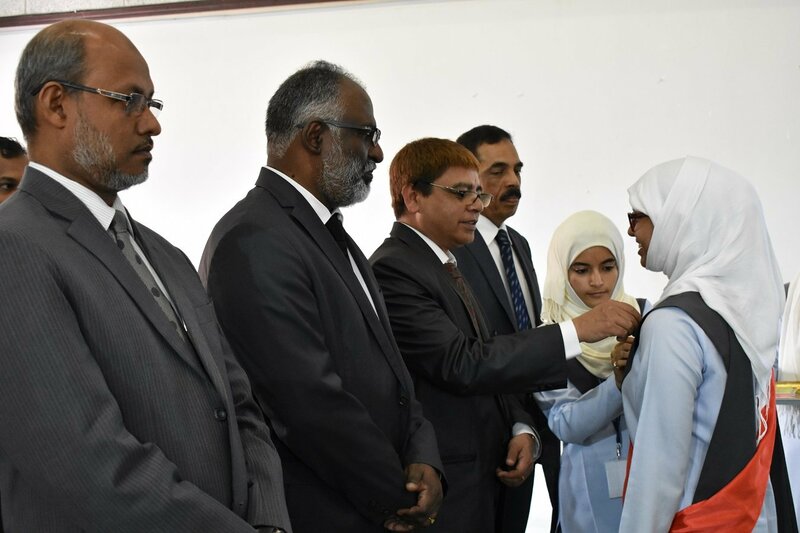 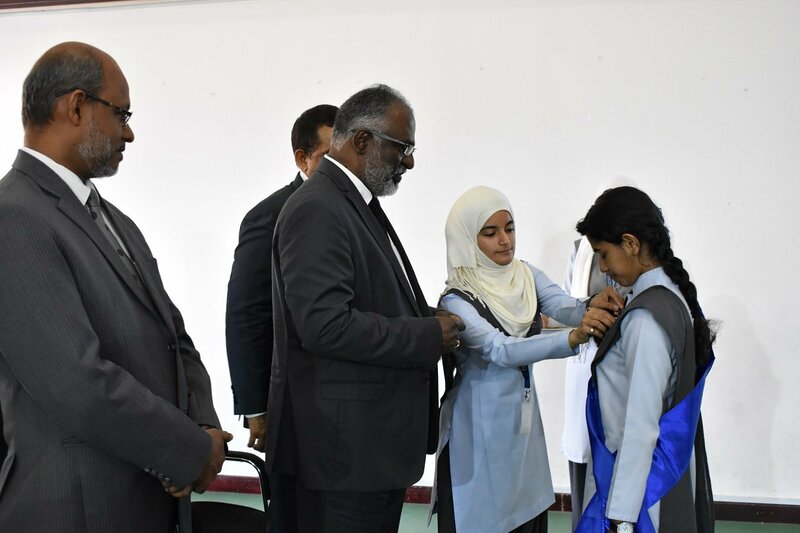 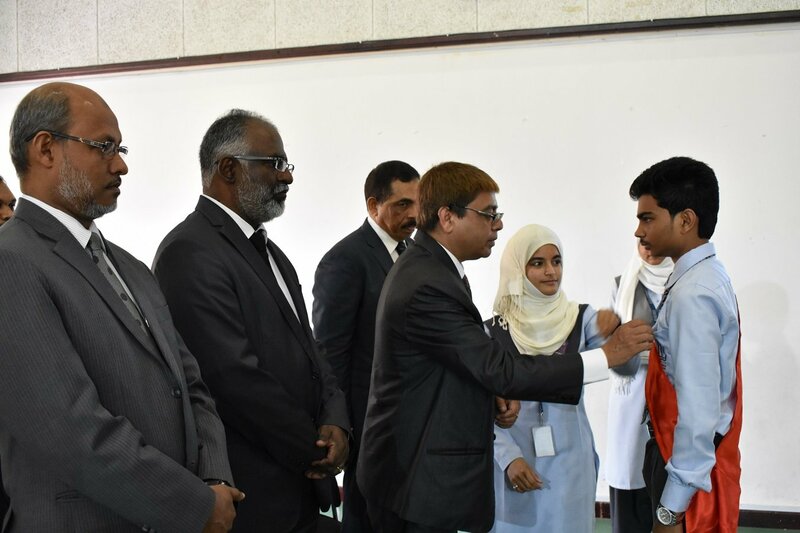 Mr. KC Abdul Latheef, invested the badges of office on the Head Boy – Prabhat Shahi; Head Girl – Amina Karim; IT Secretary – Nishath Ahmed; Cultural Secretary – Sushanth Kumar Deep; Literary Secretary – Urba Chowdhury; Sports Captain – Farsan Riaz; Assistant Head Boy – Ahmed Mohammed and Assistant Head Girl – Montaha Ahmed. 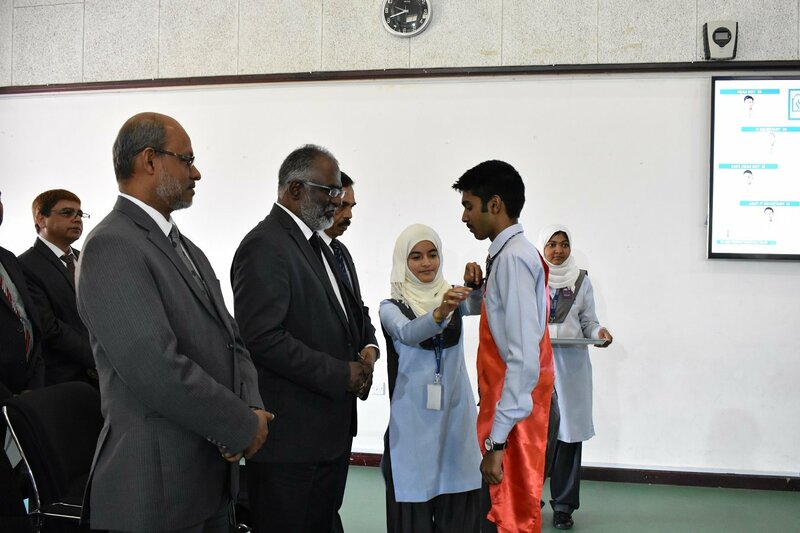 The badges were also conferred upon the House Captains and House Prefects. 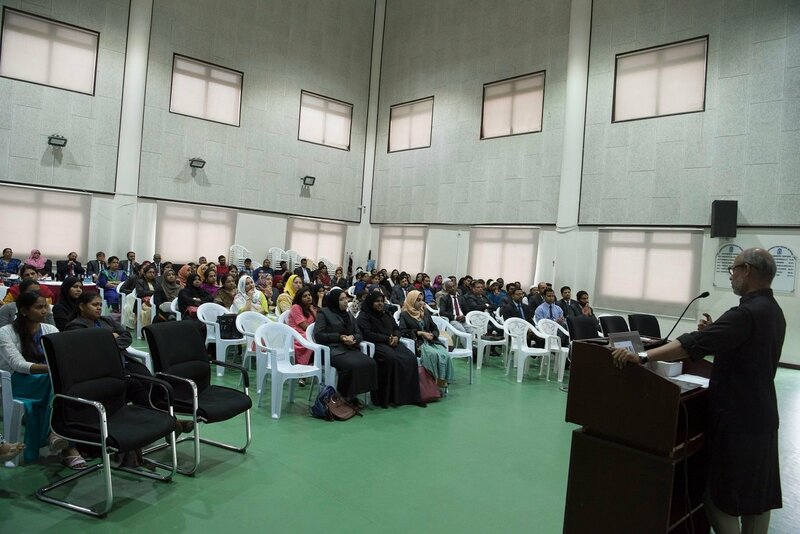 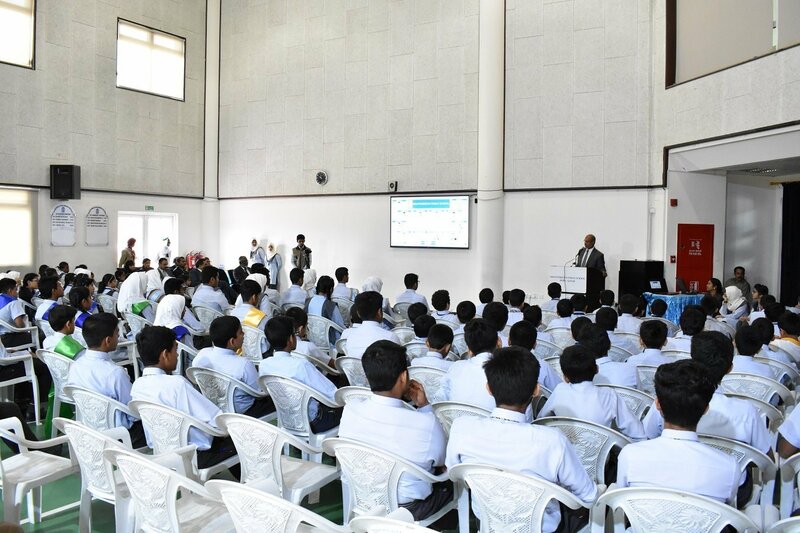 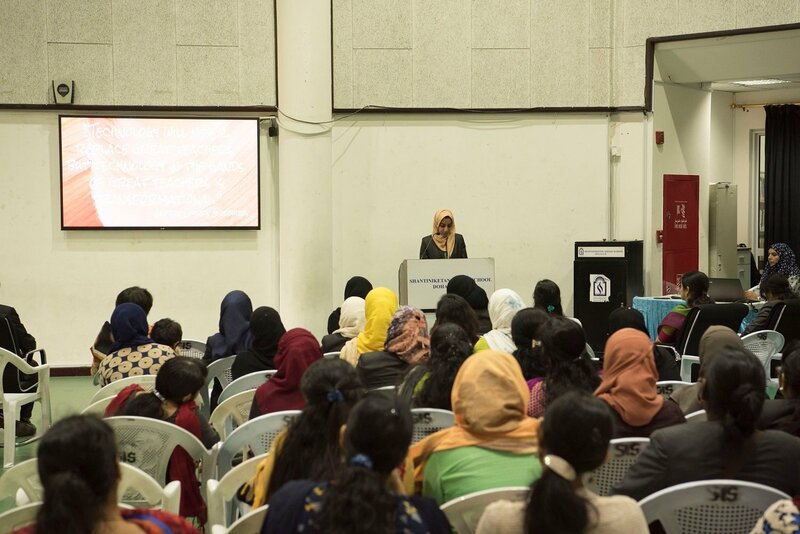 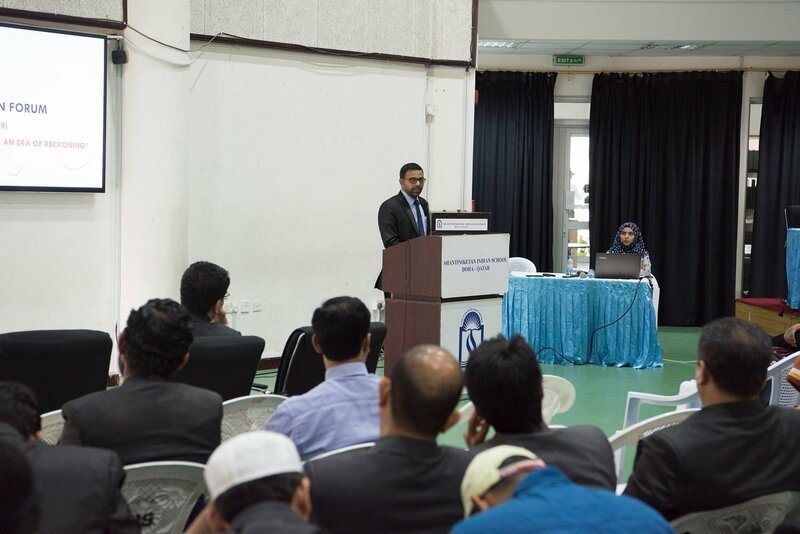 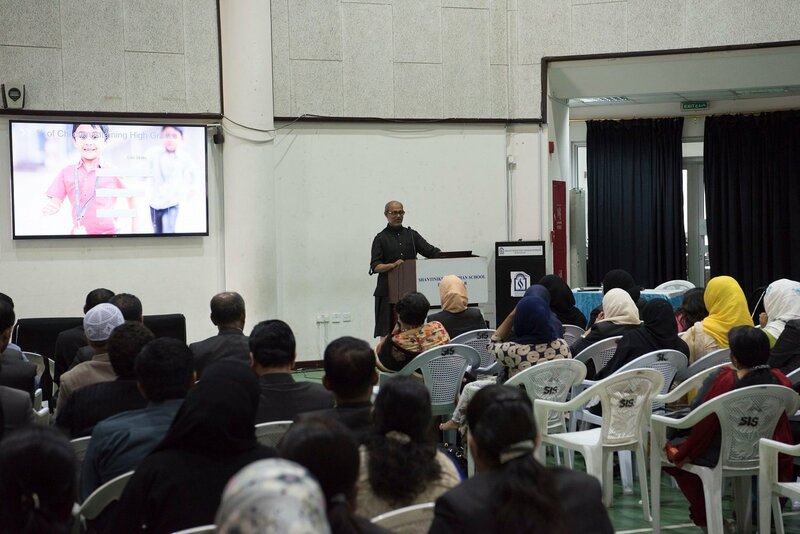 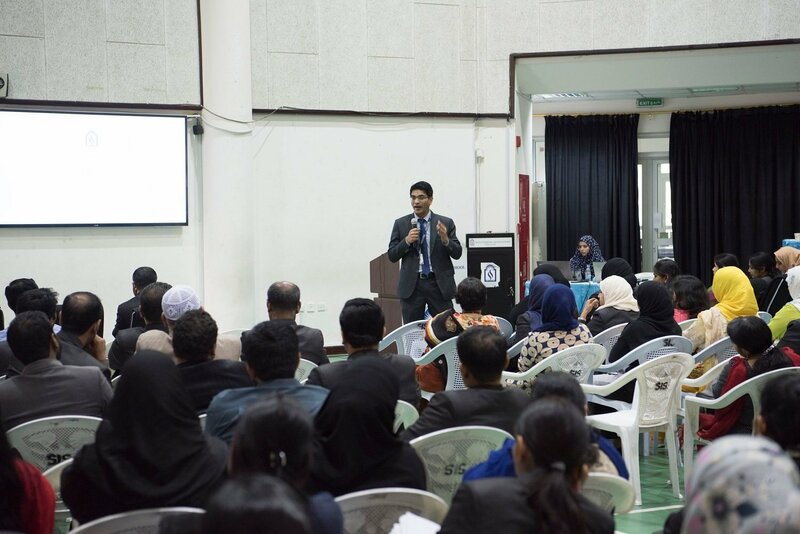 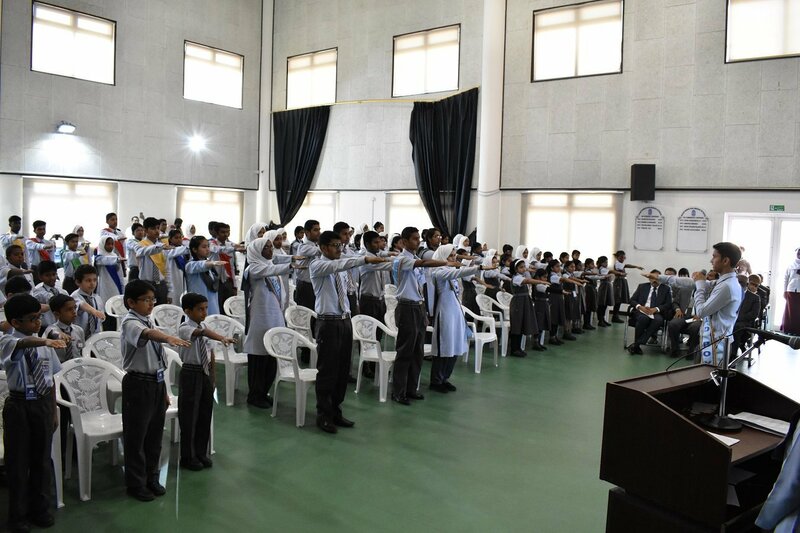 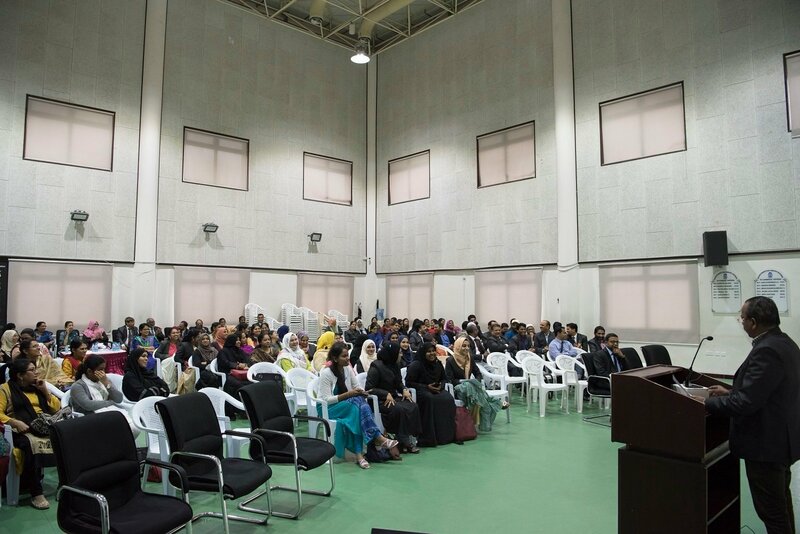 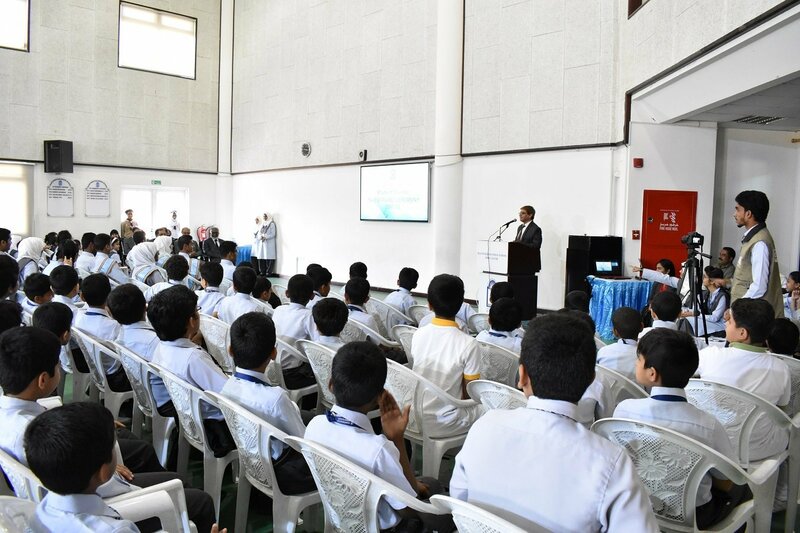 Mr. Abdul Khader inspired the young leaders with his words of wisdom. 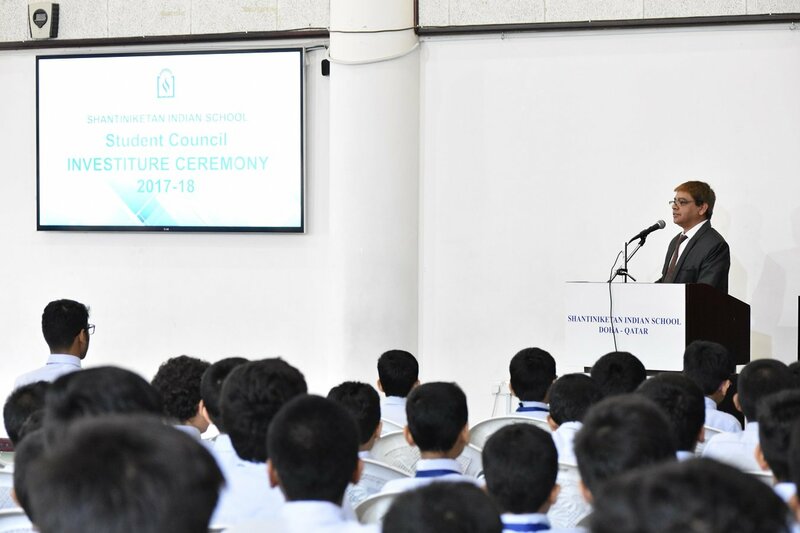 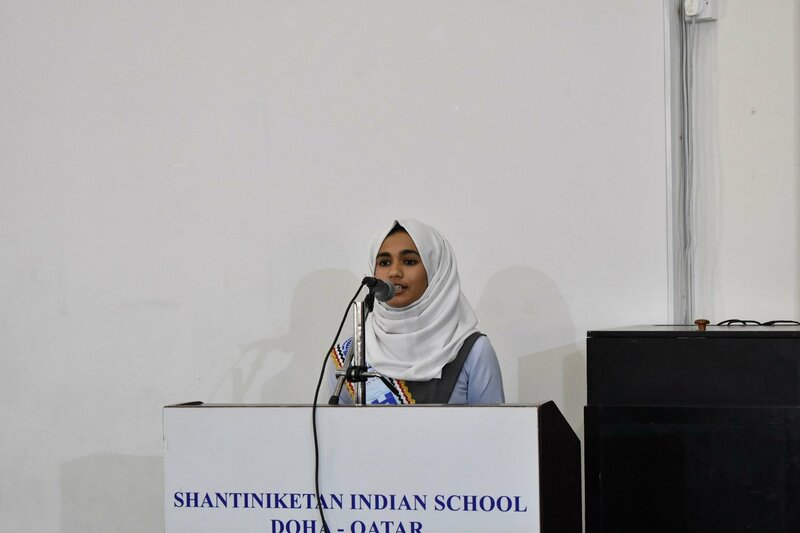 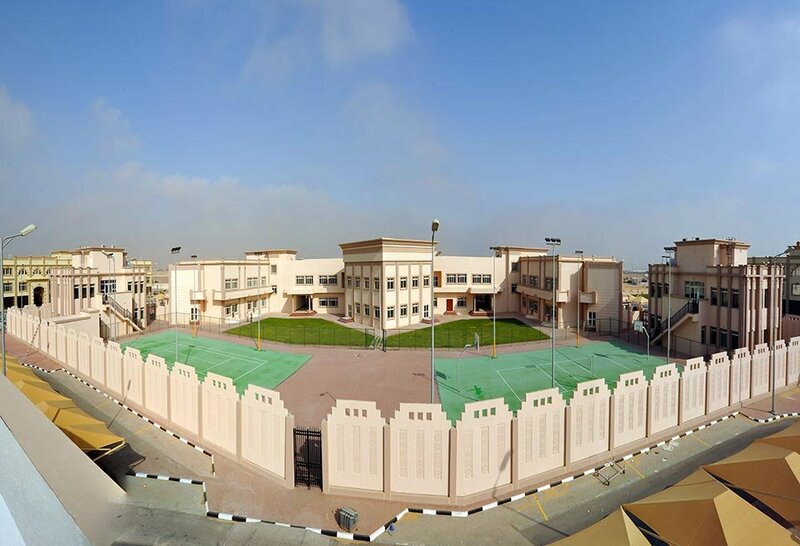 Sr. Vice- Principal Mr. Shihabudeen Pulath in his note of appreciation called the SIS Student Council as a global council of leaders. 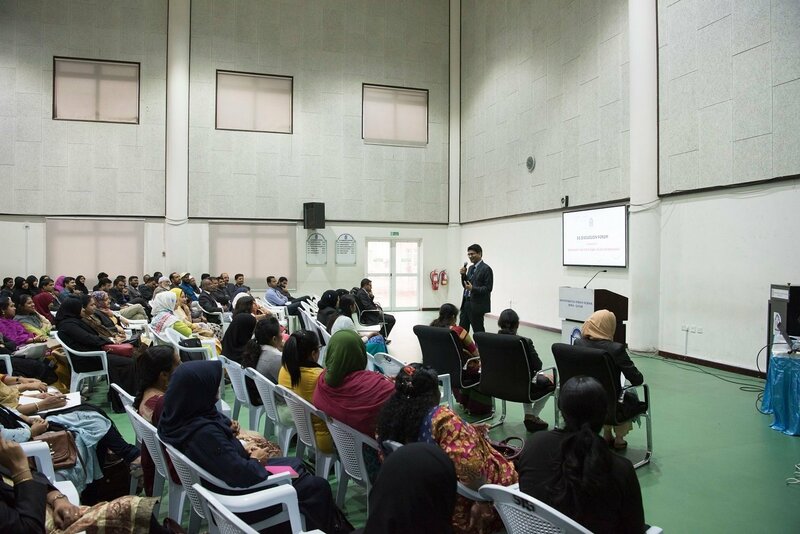 There was a sense of self-contentment and achievement for parents as well who appreciated the high decorum of the function.